One day after the Showbox Market celebrated its 79th birthday, reports have emerged that the venue will be demolished in order to construct a 44 story skyscraper. The building housing the Showbox was built in 1916 and the venue has been hosting shows in its current space since 1939; it is clearly a Seattle institution! See for yourself: Upcoming EDM events at the Showbox Market or read more about the Showbox Market’s history. It goes without saying that this is a very special venue with a history and fan base that expands well beyond EDM. What will happen to downtown Seattle when all of the places that make up its charm are demolished and only tourist attractions remain? What about all of the vacant new construction that you can clearly see is not currently occupied? Do we really need more expensive apartments or condos? Note that there has been no confirmation or denial by the Showbox on any of their social media accounts as of the writing of this article. 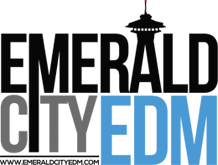 The calendar of events shows concerts scheduled through January 20th, 2019. The developer proposing the demolition is Omni of BC, Canada. An LLC associated with strip-club magnate Roger Forbes (who also owns Deja Vu) owns the Showbox building, while AEG Live owns the club. We intend to continue operations of this legendary venue including all of the shows currently announced on our calendar. 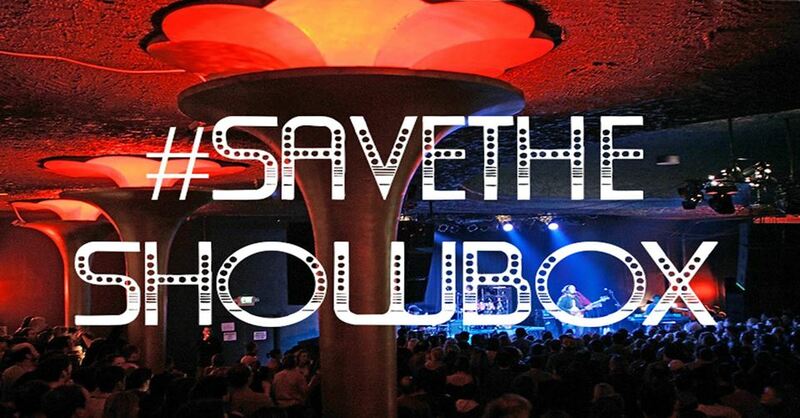 We are hopeful of beginning a dialogue with the building’s new owners to preserve the Showbox for decades to come. Join this Facebook group for updates: a grassroots campaign to save the venue has already begun, join the group or follow us on Twitter or Facebook to get updates about what you can do to aid the cause. If a temporary boundary extension gets held up in committee Wednesday afternoon, it’s unlikely supporters of The Showbox can prevent a developer from replacing it with an apartment building, according to Seattle Councilmember Kshama Sawant. The council meets one last time on Monday, Aug. 13, before going on summer recess. Onni, a Vancouver B.C.-based developer, submitted a permit application to construct a 44-story building at the side of The Showbox. It received almost immediate pushback from people, once word spread. Onni said it intends to nominate the building for landmark status. However, some, including Sawant, are wary of the developer. A temporary boundary extension for the Pike Place Historic District would give the public more time to weigh in on saving the venue. The district currently stretches from SR 99 to First Avenue, and just past Pike Street north to Virginia Street. The Showbox is located on the other side of First Avenue, just outside the current district boundaries. Even if The Showbox receives landmark status, it would not preserve its current use — Sawant has said she is researching ways to do that.